To purchase tickets, contact SOPAC at 973.313.ARTS or visit SOPACnow.org. A wonderful holiday program conceived by Grammy nominated Jazz pianist David Benoit that will also feature some of his popular hits. The show features the music from the original hit television show A Charlie Brown Christmas" performed by David Benoit and his trio with guest vocalist Selina Albright. While primarily focusing on the music of Vince Guaraldi, the original composer of the show, Benoit and the trio also feature new original music, (Benoit was the composer of the last several episodes,) and music from You're a Good Man Charlie Brown" the hit Broadway musical. There are short video clips from the original show that will sure to bring back fond memories. A local children’s choir will also join David for a portion of the concert, sure to be a touching, sweet moment! A Charlie Brown Christmas" is a family friendly, hip jazz show that is warm and entertaining. Since its original conception by producer Aaron Levinson in 2000, the Grammy Award Winning Spanish Harlem Orchestra (SHO) has established itself as a standard bearer of contemporary Latin music. Directed by world-renowned pianist, arranger, and producer Oscar Hernández, the thirteen-member all-star ensemble has reintroduced the classic sounds of New York City Salsa to music lovers worldwide. In their brand new holiday program, Salsa Navidad, SHO will put their invigorating Latin flare on classic holiday songs and take their rhythmic seduction to the next level. It’s time to get ‘In the Christmas Mood’ as the world-famous Glenn Miller Orchestra breaks open the vault of holiday music. As well as the Miller Christmas hits ‘Jingle Bells‘ and ‘Sleigh Ride‘, you’ll hear other Christmas classics, as well as popular Glenn Miller favorites including: ‘In the Mood‘, ‘Moonlight Serenade‘, ‘American Patrol‘, ‘Little Brown Jug‘ and ‘Tuxedo Junction‘. The most popular and sought after big band in the world today! 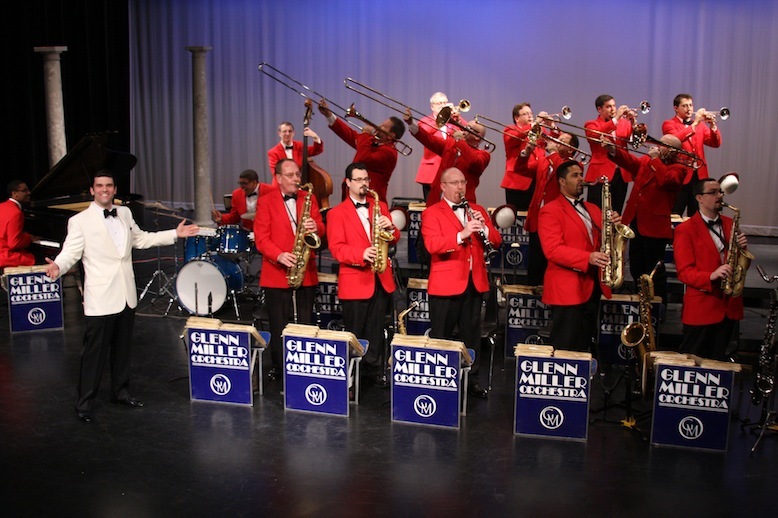 With its unique jazz sound, the present Glenn Miller Orchestra was formed in 1956 and has been touring consistently since, playing an average of 300 live dates a year all around the world. This story appears courtesy of AMT Public Relations. For interview requests or more information contact AMT Public Relations.